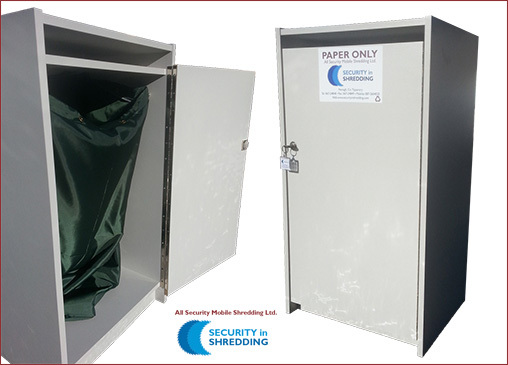 Secure 240 Litre Receptacles available in a range of colours that are ideal for interior storage and exterior secure storage. The light grey colour matches any office environment. Each container features a narrow post slot on top as you can see from the image above. If you do not have a fixed location for this container in your office, it can be easily wheeled to another location after use e.g. corridor. This container can be supplied without the postal slot for external storage (outdoors). 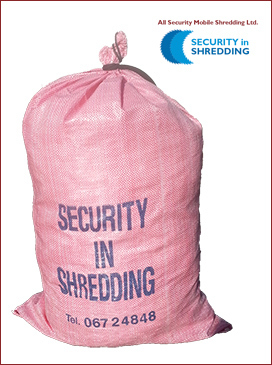 This wheelie container will store your confidential documents and data awaiting destruction efficiently and holds 60 – 120 kg of confidential material.